New England, a touch of old world charm for your garden. 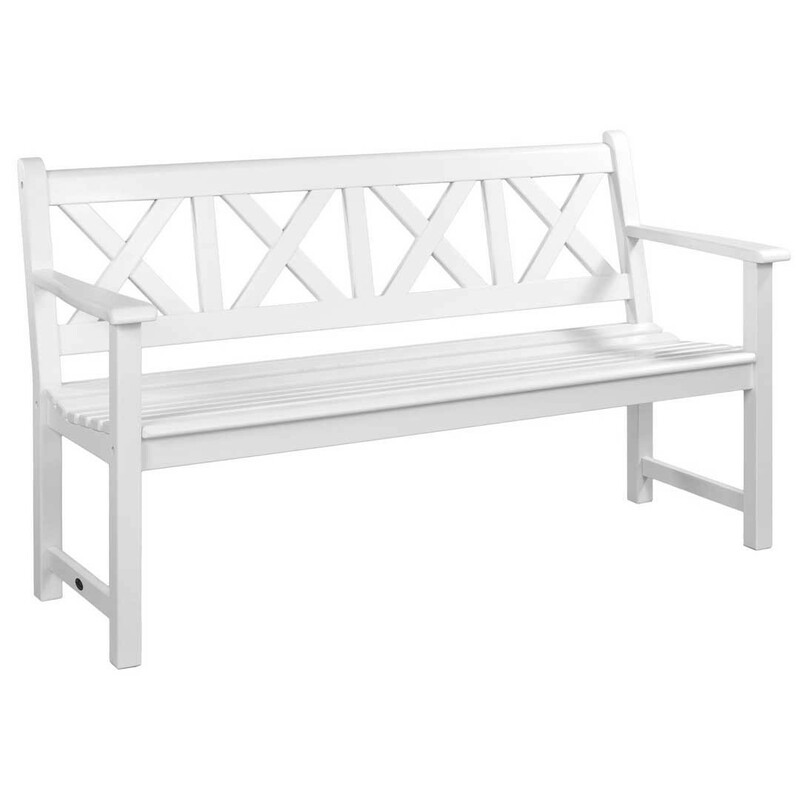 The New England range is formed from the two best selling benches since Alexander Rose was formed in 1994, the Broadfield and Turnberry models have been beautifully transformed using a durable white polyurethane paint finish that is suitable for any environment. Alexander Rose have also introduced into this range the old classic Danish designed Drachmann Bench, famous for its cross pattern back slats. The New England benches will grace the most cultivated gardens and brighten up patios and corners that lack a certain ‘je ne sais quoi’. Made from Acacia Timber, the timber is FSC 100% sourced from Vietnam. It has a durability of up to 10 years. 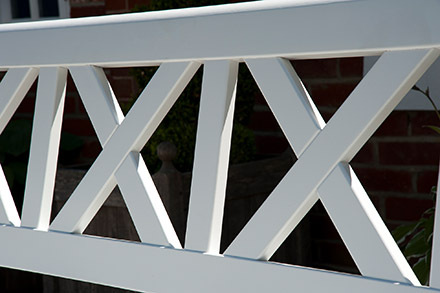 The white finish is the result of two coats of polyurethane paint which has a matt finish. It can be cleaned using warm soapy water and a sponge. Avoid using sharp edged objects to clean the bench as this will scratch and remove the paint. 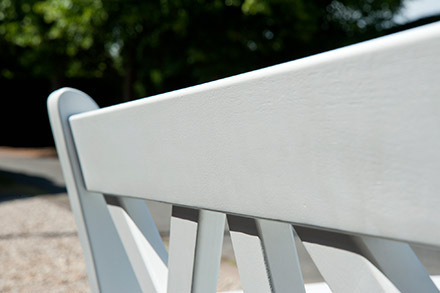 Should you wish to renovate your white bench back to its original condition then you can do so by applying a polyurethane paint with a matt white finish.